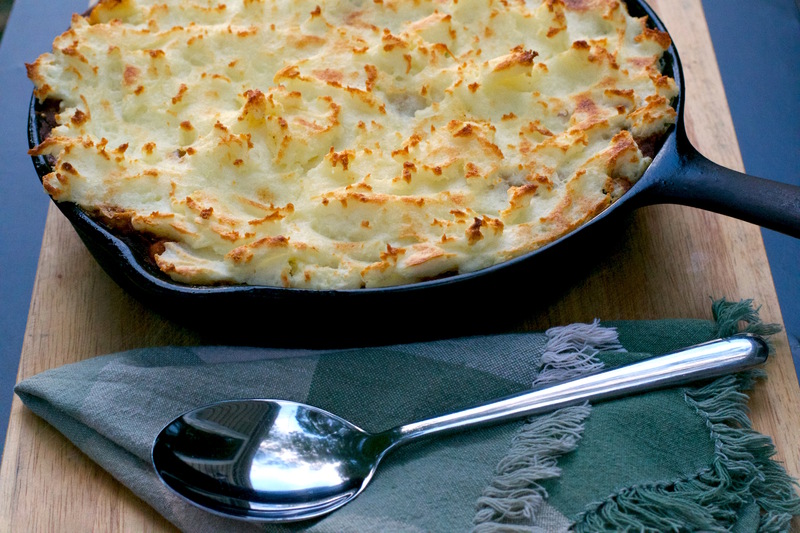 Chili Shepherds Pie - What the Forks for Dinner? 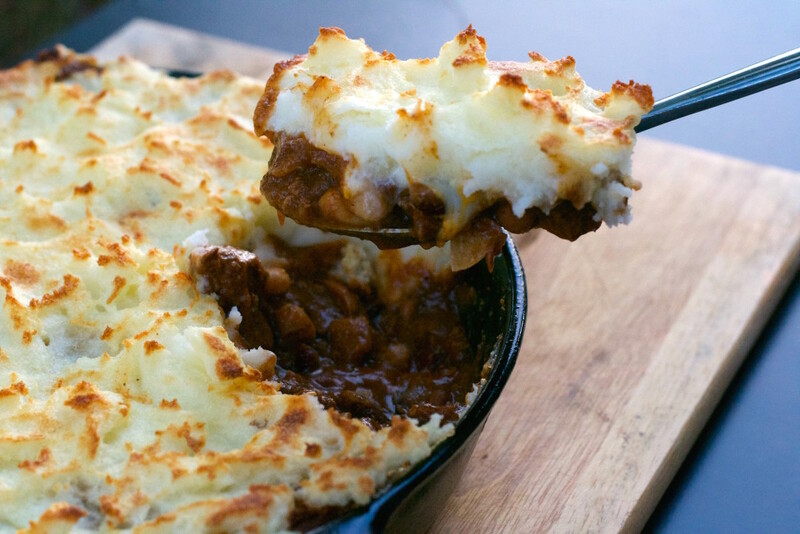 As the temperature drops, comfort foods are in the cool air…….Chili Shepherds Pie is the best of two comfort foods!! Chili is a must for fall, nothing warms the body and soul quite like a bowl of chili. 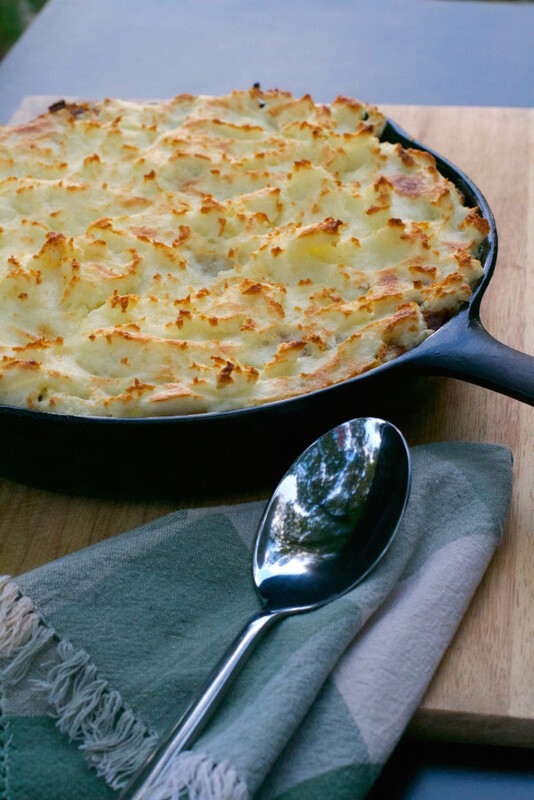 Everybody seems to have their favorite way of making mashed potatoes. Some cook them with the peel on, some without. Some add a little of the cooking water, some add cream or milk, some add butter, but whatever your way, creamy mashed potatoes always hit the spot. Now these two together in the tradition of Shepherds Pie sounded like a hearty, fall dish to warm your innards. This dish can be made from scratch, using leftovers, or by buying ready made at the local grocery store. I have the chili recipe and my favorite way to make mashed potatoes recipe listed below. If you have left over chili and mashed potatoes, just reheat them and follow the recipe. If you are in a hurry and need a meal quick……use canned chili and ready made mashed potatoes. I used a cast iron skillet, but you can chose your own vessel. Place the chili in the pan, sprinkle with cheese, and cover with mashed potatoes. 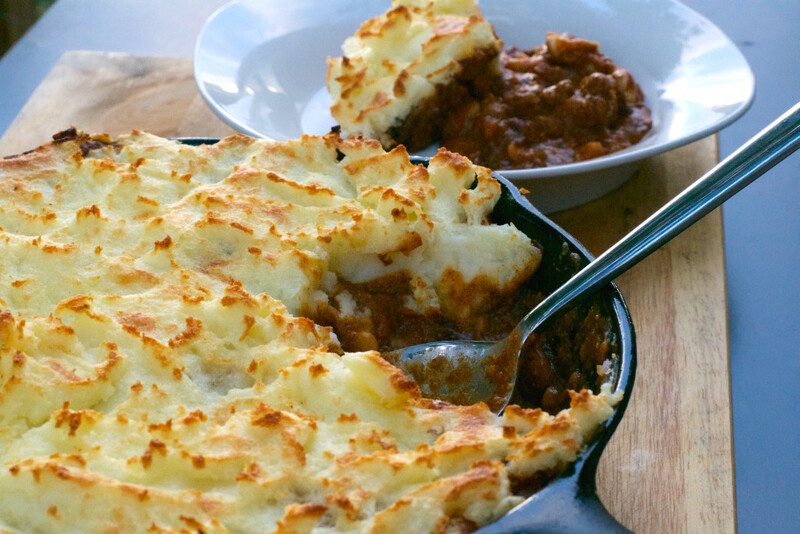 Broil until golden brown……serve and enjoy a two, two two fall foods in one………Chili Shepherds Pie! Place chili in a large cast iron skillet. Spread the potatoes to cover the chili. Place under broiler for 5-7 minutes or until potatoes are golden brown. In a large pot or Dutch oven, brown the ground beef with the onion and garlic over medium heat. Add remaining ingredients, stirring well. Cover and cook over low heat, stirring occasionally, for about 2 hours. Place the peeled and cut potatoes into a medium saucepan. Cover with cold water. Add a half teaspoon of salt to the water. Over high heat, bring to a boil. Reduce the heat to low to maintain a simmer, and for 15 to 20 minutes, or until are fork tender. Melt the butter and warm the cream in the microwave. Drain the water from potatoes, leaving potatoes in pan. Pour the heated cream and melted butter over the potatoes. Mash the potatoes using a potato masher, mashing until the potatoes are smooth. Don’t over-beat. Add salt and pepper to taste.